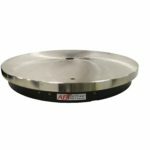 Our air bearing rotary tables provide ultra-smooth motion, sub-micron accuracy and absolute repeatability for the most demanding applications. Designed and built in-house to extremely tight geometric tolerances, air bearings have no mechanical contacting parts to wear or create drag. The benefit is they are ready to deliver decades of reliable maintenance-free motion. 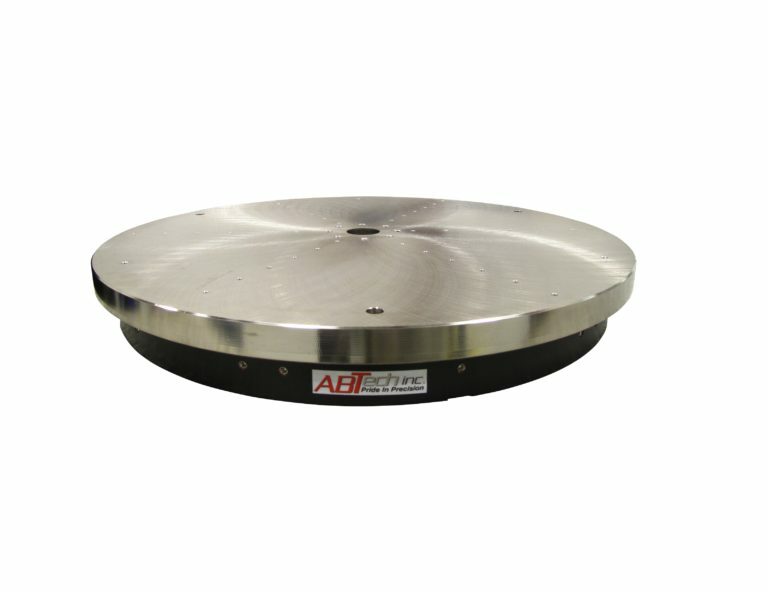 The HDRT Series is commonly used as the core axis in equipment checking runout (TIR), roundness, squareness, concentricity and parallelism measurements for large part applications. They are ideal as stand-alone units for checking runout of turned parts, optical lens alignment, and assembly applications. Industries such as aviation, aerospace, automotive, energy, optics and medical devices have deployed our air bearings to meet their ultra-precision measurement demands. We understand that often your metrology needs require operating in harsher environments. That’s why we use the most durable hardened stainless steel air bearing components that afford forgiveness from minor accidental touch downs as a result of low air pressure, excessive loading, or operator error. If our standard tables don’t fit your application, our precision motion experts can work closely with you to configure a rotary motion solution that will meet your exact needs, including developing custom solutions for the most unique applications. Manufactured with tight geometric tolerances, our standard air bearings deliver radial and axial error motion of <10.0 µ” (250.0 nanometers) and angular errors (coning) of 1.0 µ” per inch (25.0 nanometers/25mm). Air bearings enjoy significant advantages over mechanical bearings or other approaches to precision worktables. Because there are no mechanical contacting parts to wear or create drag, air bearings are near frictionless, providing ultra-smooth, repeatable and maintenance-free motion. Metrology is no longer relegated to the quality control lab. Maximizing productivity means exposing measurement devices to harsher environments within the production and assembly processes. To ensure you’ll experience years of service and investment longevity, we use only the most robust air bearing components. That robustness includes the ability to withstand minor accidental touch downs resulting from low air pressure or excessive loading. If an accident does occur, often the air bearing will only require repair rather than complete replacement. But no matter how broad our product options may be, we realize that they can’t address every possible application. And that’s what separates ABTech from most other metrology suppliers. We won’t say sorry, best of luck. Rather, we’ll connect you with one of our precision motion experts and work closely with you to configure a rotary motion solution that will meet your exact needs, including developing custom solutions for the most unique applications. All specifications based on vertical axis orientation at 60 psi and are subject to change without notice.